This place is AWESOME!!! Where are we going next? We have really started to settle in to the Belgian culture. Elizabeth just mentioned that this place is really starting to feel like home. Just in time for us to find out where we are going next, right? At first it was very hard to find food we liked and especially to something that wasn’t crazy expensive. (2 pizzas, two 2-liters of pop, and a beer cost us around 65 Euro or $90 from Pizza Hut). Since then we have set out to go to more Flemish restaurants and eating local Cuisine. i.e. 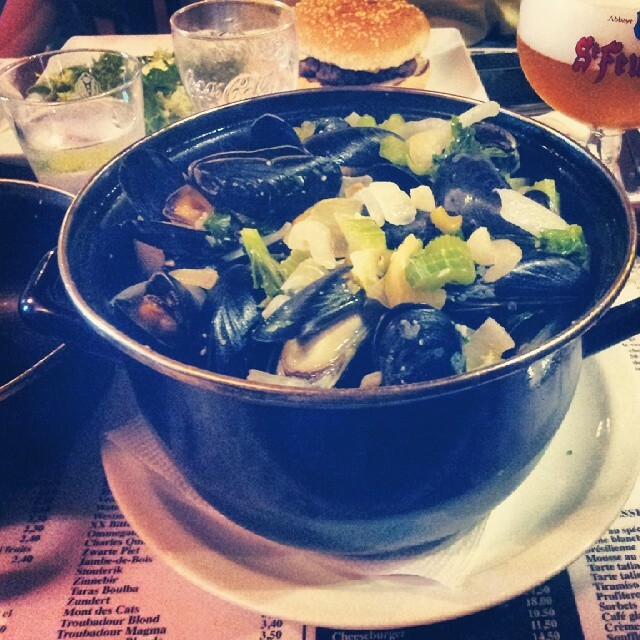 Moules (Mussels). Mark and Grace love vol-au-vent or biscuits with chicken and gravy, and we have recently found some of the best pizza I have ever had and $40 can feed a family of 4. So it is safe to say we like it more and more here in Belgium. 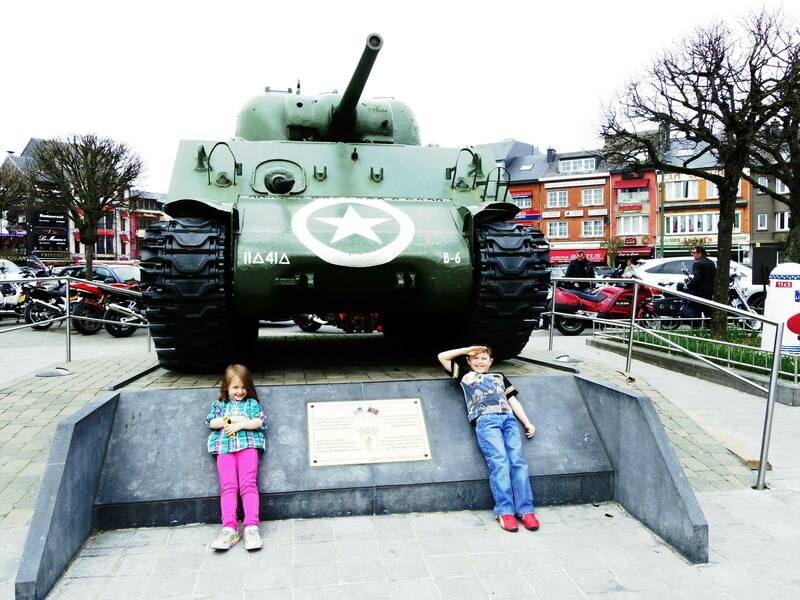 Something that we have wanted to do but have been putting off was a tour of Bastogne (Battle of the Bulge Tour). We finally made it on my birthday this year. WOW!!! It was very moving to go see foxholes and hear stories how the Americans liberated Belgium during WWII. The memorial is stunning and the entire experience was quite surreal. We got to see actual foxholes where soldiers were “dug in” facing off with the German forces. (Grace was quite scared there were actual foxes in the holes) With the anniversary of the war coming up this year we will definitely be back here. 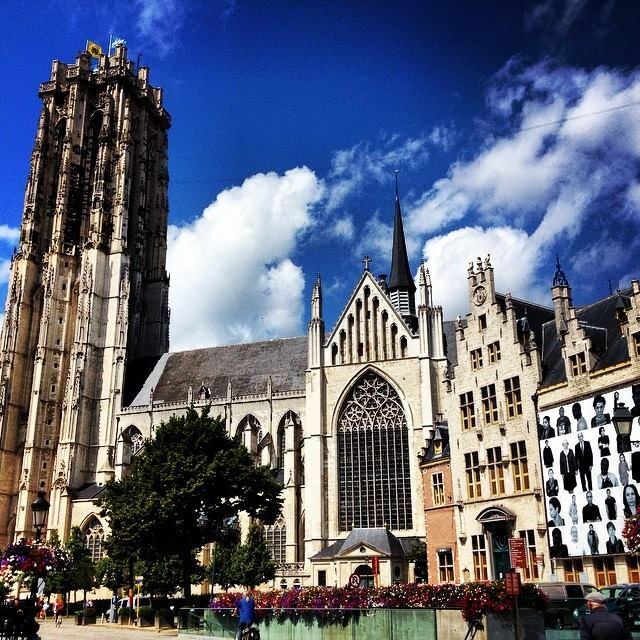 Mechelen Belgium is quickly becoming one of our favorite spots. It is a Flemish city and it was founded in the 3rd and 4rth Century around the time of the fall of the Roman Empire. There is great shopping and feels very quaint and not overrun with tourists except for us. 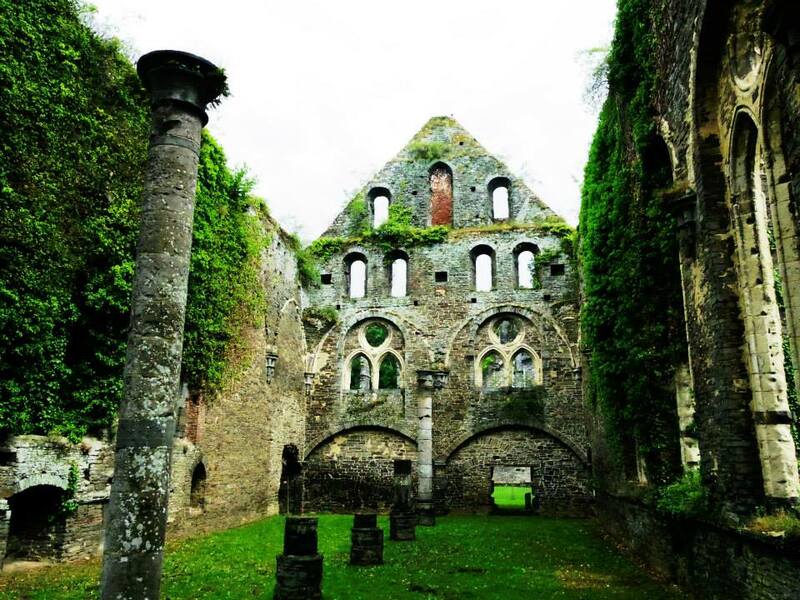 We visited Villers Abbey which was formed and built around 1176, then abandoned in 1796 during the French Revolution. It was a great day trip and we ended up getting some cool pictures. Definitely worth checking out if you are ever wandering the Belgian countryside. 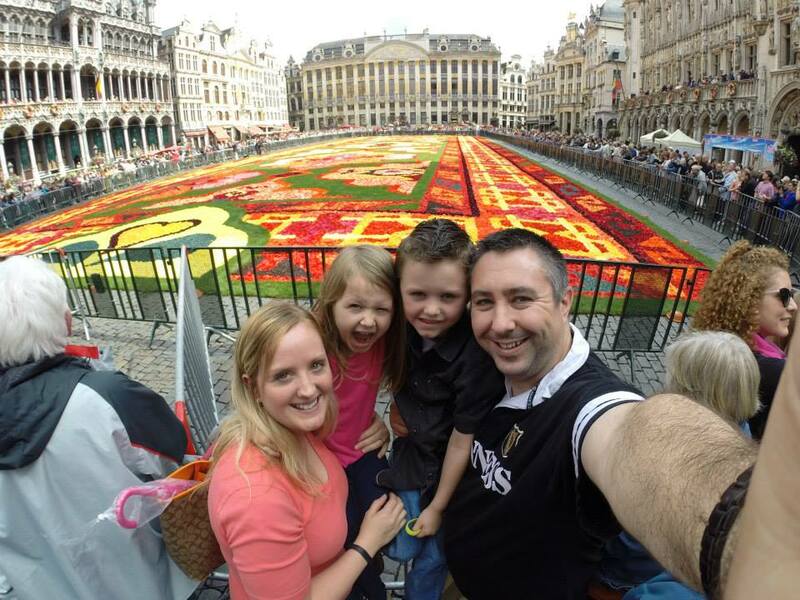 We also got to experience the flower carpet that is displayed in Grand Place every other year in Brussels. We went down there every day for 4 days straight. It was truly amazing. This year it was to commemorate “50 Years of Turkish and Moroccan Immigration in Belgium” and it was more impressive than I ever thought it would be. Other local events that we have been doing…I won 3 cases of beer from one of my favorite breweries, 3 Fonteinen. I submitted a photo of the kids supporting the Red Devils soccer team and got the most likes on Facebook so I won some outstanding beer. Good deal right? Work is going well. 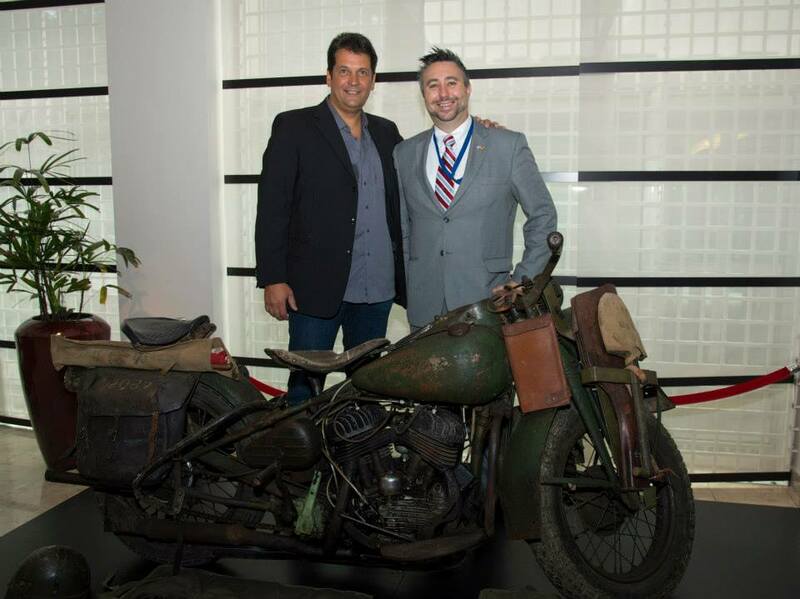 I organized the display of a 1942 WLA WWII Harley Davidson to be displayed in the embassy for the month of June and some of July. There was a nice little appreciation ceremony and it was great to display some of the awesome military vehicles that are available here. Probably the most exciting thing that has happened to us is that we found out where we are going next. 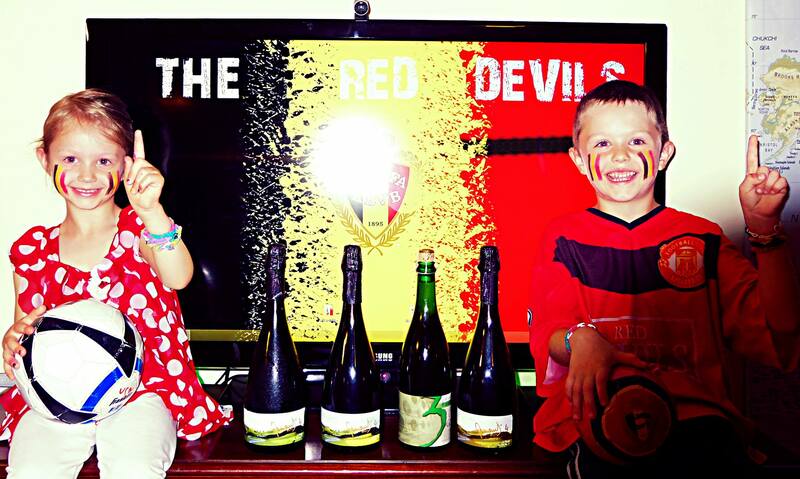 This figures since this post is all about us settling in and living in the Belgian culture. I cannot tell everyone enough how much we are going to miss Belgium. We have truly made some lifelong friends here and experienced some amazing things. 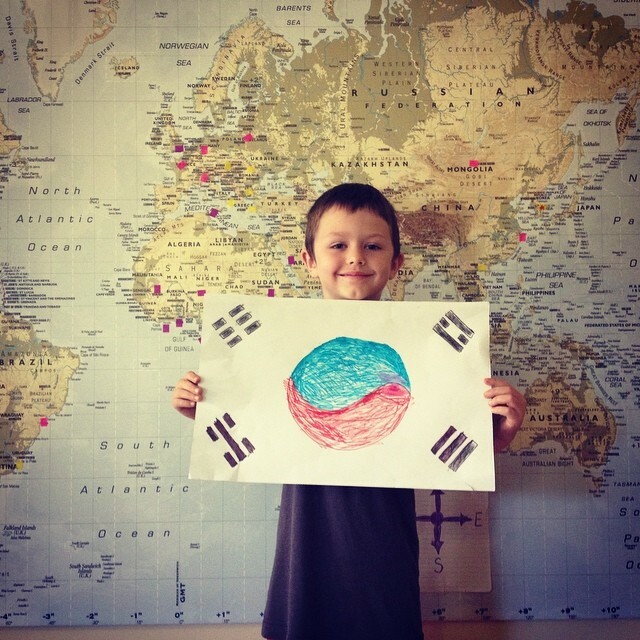 So without ado, The Neels Family will be living and blogging from SEOUL, KOREA!!!! This was Mark’s number one place he wanted to go since he believes we can get as much sushi as possible there. This is a wonderful post for experiencing culture and the most important thing we were hoping for is that it is safe and has great schooling. Career wise it looks great and there will be plenty of awesome travel and opportunities to experience another culture. This, in the end, is why we do this. Presidents and Budapest, and Family, Oh my! It is time for another post. Since we last posted in December several things have happened. Work is going great, I am really enjoying everything I do and most importantly the people I am working with. In December and January my parents visited and we did some traveling. We did a 3 day weekend in Paris and then I went TDY to NATO for 30 days. I have to say that it is pretty cool walking into work everyday at a place that has so much history. Towards mid February we made a trip to Westvleteren, Belgium and got 2 cases of the #1 ranked beer in the world (Westsvleteren 12). It is not my favorite but it is not bad by any means. Elizabeth on the other hand loves it. We have done quite a bit more traveling as well. 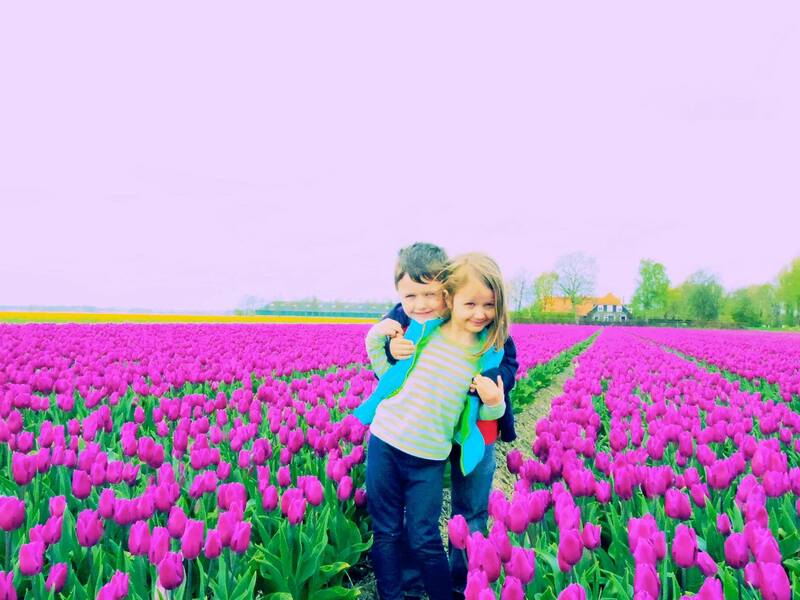 We have seen Luxembourg, Bastogne (Battle of the Bulge), and we just got back from Budapest and then we did the Tulip festival outside of Amsterdam. The kids are getting pretty good at geography and are constantly asking if we can go to new places around the world. While in Luxembourg we were walking past an Asian family and Mark, out of nowhere, raised his hand and said konichiwa! The Japanese family absolutely loved it! They are getting exposed to so much that we could never offer if we were in the states. They are both doing well in school and their french has really excelled. My motorcycle is coming together little by little. I have most recently ordered some parts from the Ukraine and then Russia. We also made a trip to the American Motorcycle Museum in the Netherlands and I picked up some parts there as well. I still have a ways to go but I am hoping for it to be drive-able in August or September. I have joined a motorcycle club and everyone has been very helpful with how to reassemble these old bikes. It is nice to see everyone that has the same interest in getting these things back on the road like I do. Probably the most exciting thing that has happened to us not only here but while we have been in the foreign service is we had the opportunity to meet the president. President Obama shook Mark’s, Elizabeth’s and my hand and one of his aids took a baseball from Grace and me for the president to sign. It was a really special experience to get to meet our president no matter what your politics are and it is something that my kids will take with them for their entire life. 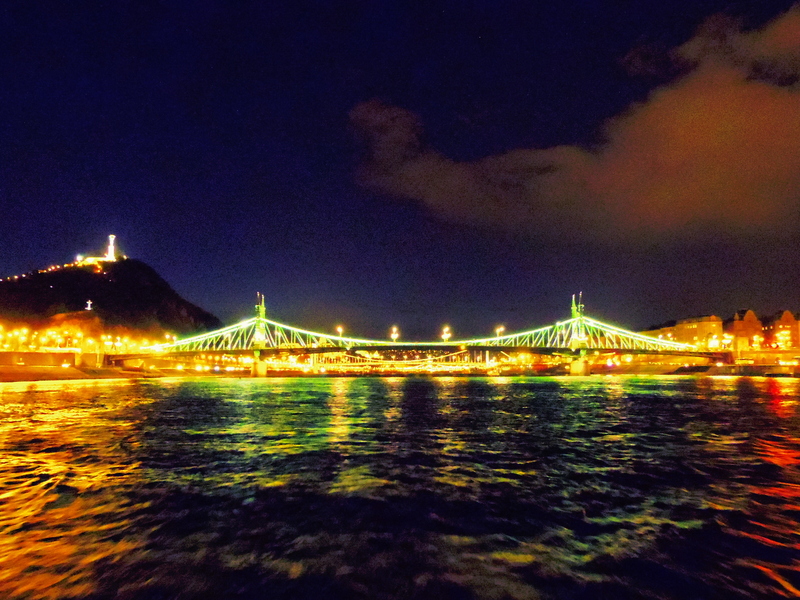 Most recently we just got back from Budapest, Hungary. I had a training there for a week and we decided to make a family vacation out of it. So Elizabeth and the kids went around and saw the city while I was in class everyday. Budapest is a totally awesome city. I think it is one of my favorite places I have ever been. Very pretty, so much to do, excellent food, and very cheap in comparison to Brussels. I would love to go back there sometime but there are just so many other places we have not been yet it will be tough to do while we are in Europe this time…maybe next time around. Finally. we most recently went to Noordoostpolder, Netherlands where we drove around a 100km route and toured fields of tulips growing all over. It was beautiful and our Mark and Grace got to pick flowers and take pictures. It was well worth the 2.5 hours in the car to go visit something that only happens for about 2 weeks a year. Imagine what the cornfields in Iowa/Illinois look like but instead it is beautiful brightly colored flowers. If you are still reading this you can tell that we are havinga great time and enjoying every minute of our journey. We are doing great, the kids are doing wonderful and we are looking forward to finding out where we are going next. We have a little bit over a year left in Brussels and plan on taking full advantage of our location. We still have Barcelona, Normandy, London, The Hague as well as one or two others we would like to squeeze in. We are also looking forward to several guests coming this summer and in the fall. We made it! We have been in Brussels for a little over 5 months now and we absolutely love it. We have explored Belgium, the Netherlands and France along with making a couple trips to Paris, Amsterdam, Dublin, and Rome. This kids are in school and it is top notch. If you have stumbled on this blog in the research of the Foreign Service then you should know that a big reason to choose Brussels is education for the kids, some of the best schooling in the world. The housing is also wonderful. We have a 5 bedroom 3.5 bathroom apartment and my commute is only 25 minutes or so. Everyone I work with is great. The learning curve is pretty steep but for the first time in my career I don’t work with anyone that wants to horde knowledge. Everyone is more than willing to help with anything that I am willing to learn. We just had the first high profile visit this past week. Secretary Kerry was in town on business. Other things that are going on are, I finally bought a motorcycle. It is a Harley Davidson 42WLA. It was left here during WWII by the U.S. Government. My goal is to piece it back together and ride it to Normandy on June 6th of next year. We have had a couple visitors and are expecting more. So Christmas markets, travel, and swap meets are in our near future. Oh and for the record, we are in Brussels (one of the greatest cities in the world), and yes we are looking forward to where we are going next. We have less than 17 hours before we are wheels up. I didn’t think I would be as upset aout leaving everyone that we have met, but I have to admit it is a bit sad. One of my classmates said that “FSI will never be the same. You will come back and know some people but you will never come back and know the amount of people that you do now.” The other part about that is everyone that I have met, we will always have something in common we were all new together. We are excited to say the least! Pack out went well. They did say they are not allowed to pack jewelry or money. Not that we were shipping the Hope Diamond or anything but the mover saw some lose change and was like ,”we cant handle that”. This goes for costume jewelry to. So the carry on it is. The last couple days of work, it went very smooth, they gave us a chance to catch up on everything that we felt we were behind on. I see this as a common theme with all my classmates. We all felt as if we were behind and “missing some sort of paperwork” every bit of the way for the past 6 months. Nobody that I know was so behind that they didn’t get everything done by completion of checkout. (So if that helps- you can relax a bit). Bring a blank CD- you will need this to transfer your files/.pst files when you check out. Trust me pack one, its better than scrambling at the end. Make sure you sign up for dental insurance if you need to get work done. For some reason I thought I had more time b/c we were going overseas (LCE) and I could sign up anytime, Nope, you have 90 days. If you are going to be in Oakwood for an extended amount of time you might want to pack out your own knives and ladles and kitchen stuff. They were cheap and it would have been nice to have a few more kitchen items. (I thought they were fine, but my wife grew tired of them) But she is right with a pack-out available we should have done it. It was very nice to have a vehicle while we were at Oakwood. Especially for grocery shopping. That being said you can easily get by without one but it was really, really nice to have are Jeep with us. If you have kids-we wish we would have brought our kids bikes, its gotten warm and our kids have been pretty envious of everyone that has their bike. I started training last week and I have to say everything that I have experienced this far has been very impressive. I know that sounds like I am drinking the “kool-aid”, but everything up to this point has been top notch. I also know that when anyone starts a job they are very proud and think nothing but great things about that organization. I have really tried looking at this whole experience as realistic as possible, and the only thing I can say is that I have been treated better here than anywhere I have previously been. This is the first time in my adult life that I feel, I am surrounded by people that are similar to me, and the organization recognizes that we are all assets. If they did not they would not be investing the time and quality of classes and trainings that I have been attending. Orientation, although long, was very extensive and thorough. I really dont know yet what I needed from it or if anything could be left out or added but one thing is for sure, there was a TON of information disseminated to us. And I would being doing everyone wrong if I didn’t say there were many, many impressive people that I was surrounded by. I read on somebodies blog a while back “that it is interesting how everyones post they are going to becomes their dream post. Even if it was not their top choice.” It is so true! The environment in Belgium going to be busy but I am looking forward to the challenge. I will also asume for a minute that beside family and friends that are reading this blog there are a few people out there that have stumbled on it looking for information about the DoS because they are interested for themselves and what to expect because the are joining soon or want to join in the future. I came in with the desire to go back to Europe and that was what I thought everyone else would want as well. In my mind I thought that everyone would be competing for the Belgium’s, and the Italy’s. The truth is, my idea of a dream post most likely is not in the top 10 for someone else and vice versa. There is truly a sense of adventure with people and everyone desires something a bit different. Looking back it seems like that only makes sense but it still surprises me sometimes on how we can be so simliar yet so different. But then again that is was makes America so great. My wife has taken over the blog for the most part and will continue to update as much as she can. I will also chime in from time to time. Cheers! Yesterday was flag day!! The ceremony was at 3:30pm which was torcher!! The day seemed to go by so slowly and the time we were sitting in our seats waiting for the ceremony to begin seemed to go by even slower. Then Justan and his classmates walked in the room and everyone took their seats. The speeches began. I sat there listing to the class speaker talk about all the amazing people that made up the 128th Foreign Service Class. I can’t tell you how proud I am of Justan! After the last speaker concluded their speech they finally started calling out names. The Albaina flag popped up on the screen first…our number one pick!! Then Justan’s classmate’s name was called….so we knew right off the bat we weren’t going to our first pick. Flag after flag were displayed on the screen and all of Justan’s classmates were going to the front getting the flag of the country they were going to. It was so exciting but I was starting to get nervous!! I was so ready to find out where we’ll be going! Finally…I here Justan Neels….Brussells, Belgium!!! Justan walked up and got the Belgium flag, got his picture taken with his foreign service mentor and got his training schedule for his first post! Our country was announced last out of the 60 people finding out locations that day…but who cares we’re moving to Belgium!! It is so nice knowing where we are going and being able to start planning and getting things in order to move overseas. I think I’m more excited than Justan only because he has been to Belgium and backpacked Europe. Me on the other hand have never been there and and am SO excited to travel Europe! We are excited for the next chapter in our lives! Let’s see…Justan is really liking work. They keep him busy from the beginning of the day all the way through to 5. He even has meetings and presentations during lunch most days. During the first 3 weeks there is A LOT of information being thrown at him so he is pretty mentally drained when he gets home. Last Tuesday we got our bid list(the list with all the possible locations we could go)!! We were both super happy with the list. I can’t really go into what’s on the list but there were only 3 places we really didn’t want to go out of a list of 11 and 6 locations we REALLY want to go to! We had a week to do research on the locations and rank them 1-11. We turned in our rankings yesterday!! Tuesday Feb. 12 is flag day…which is the day we find out where we are going!! They have a ceremony where they call everyone up one by one and give them the flag of the country they will be going to. From what I’ve heard it’s a pretty fun day. Justan’s parents will be here Monday so they’ll get to be there for flag day! Then Friday Feb 15th there will be a ceremony where all the new hires will be sworn in. This is pretty much so family and friends can see….Justan was actually sworn in his first day reporting to work. My Mom flies in Thursday so the kids and I, Justan’s parents and my mom will all be there for the ceremony. After next week things should slow down some for Justan. He will start classes at that point and his days should be quite a bit shorter but he will have a lot of studying to do. They are telling us that we’ll be leaving the U.S. June or July of this year. So that puts us in D.C. a total of 5-6 months. I’ll be taking some classes during our time here as well. Everyone one here is so helpful and they really give you everything you need to know to live and communicate in other cultures. We absolutely love Oakwood(our apartments)!! The kids are having a great time here. There are a lot of families with children staying here so Mark and Grace have kids to play with! They have a big playground, tennis courts, sand volley ball courts and a pool. Not that we use the pool right now but I’m sure we’ll get at least a month use out of it before we leave. I’m signing Mark up to tennis lessons(Grace is too young to be in lessons). I’ve been taking the kids to music class once a week here in the activity center at the apartments. Today Mark played soccer with the big boys while Grace played on the playground. I’m loving being a stay at home Mom and wife:) I’ve been cooking a lot! Now that I have the time I want us all to start eating better. I’ve also been working with Mark and Grace on school stuff. I found a really cool website that has a ton of educational activities and games with individual learning plans(abcmouse.com). Mark and Grace are both using the laptop by themselves now and working through their lesson plans!! I’m really enjoying being home with them during the day! Wow this is a long one…I’ll stop rambling!! I’ll be sure to let you all know when we find out where we are going!! I am a IMS with the Department of State. 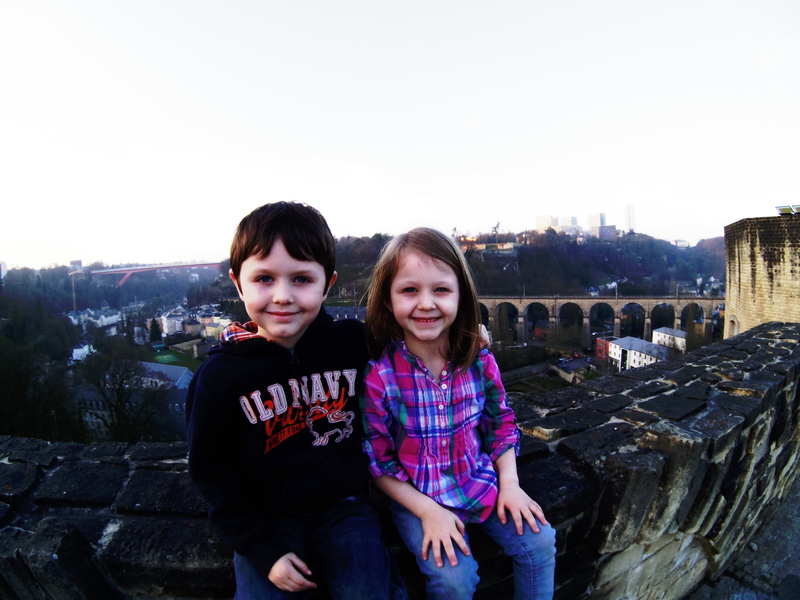 As a family we have been trying to travel our butts off and show our kids the world... 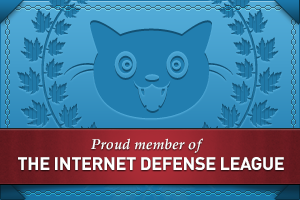 The views, postings and opinions on this blog do not represent the view of the US State Department or any other Government Agency, Department or entity. The thoughts and opinions expressed on this blog are solely those of the author and in no way should be associated with the U.S Government.